Naval History and Heritage Command #NH 96913. Dimensions 441'7" by 56'11" by 27'7"
The Xanthuses were completed in 1945. 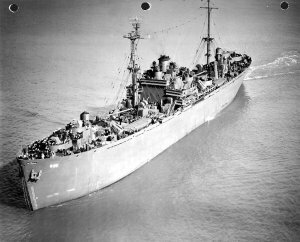 They were Liberty ships converted to use as repair ships.